One of New Jersey’s most basic criminal charges is Harassment. These types of charges are frequently litigated between residents at local municipal courts throughout Burlington County regularly. Harassment is a petty disorderly persons offense that will be heard at the local municipal court for the town where the incident occurred, unless more serious charges were also filed and require that the matter be sent the Burlington County Superior Court. As a petty disorderly persons offense, harassment carries a possible term of incarceration in the Burlington County Jail, a no contact order, a criminal record and the possibility of a restraining order being filed. If you or a family member have pending criminal charges in Burlington County for harassment, simple assault, terroristic threats, aggravated assault, criminal sexual contact, or criminal restraint, please contact our office. We represent clients charged criminally throughout Burlington County municipalities, including Evesham, Cinnaminson, Delran, Willingboro, Mount Holly, Mount Laurel, Bordentown, Burlington Township, Pemberton, Riverside, Maple Shade and Palmyra. For your immediate and complimentary consultation, please contact our office directly at (609) 850-8284 today. What are the Penalties for Harassment in Burlington County, NJ? As a petty disorderly persons offense, harassment is considered a misdemeanor criminal offense in New Jersey. If convicted, you will face a term of incarceration not to exceed thirty (30) days in the Burlington County Jail, a $500 fine and a criminal record. Depending upon the circumstances, you may be eligible for a Diversionary Program at the municipal court level. These programs can afford you the opportunity to have your charges dismissed upon successful completion of probation. These programs are typically only available to first time offenders and you should consult with an attorney to determine if you are an eligible candidate. For more information the conditional dismissal program, please contact our Burlington County office today. Can I Get a Temporary Restraining Order for Harassment? 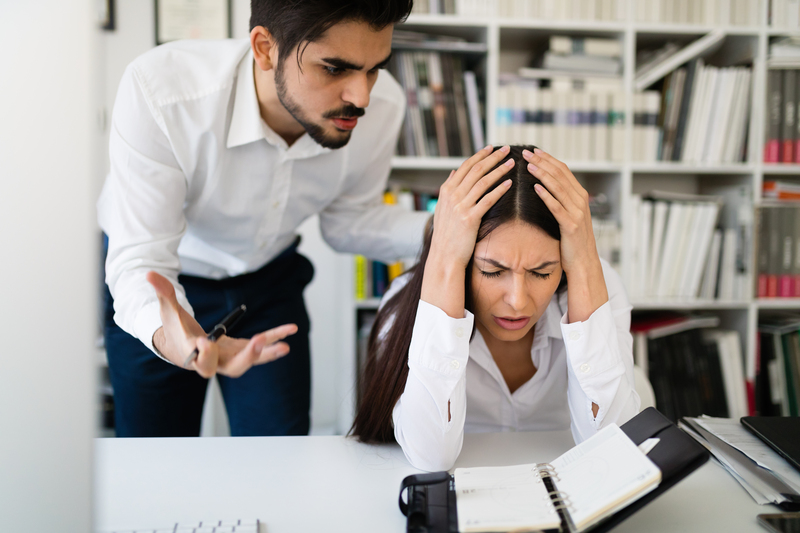 One of the most common “underlying acts” for the issuance of a temporary retraining order is harassment. If you have a fight with a family member or significant other, you may be served with a TRO from the local police or Burlington County Sheriff’s Department. It is important that you comply with the terms of the restraining order pending your formal hearing at the Burlington County Superior Court. For more information on restraining orders in Burlington County, please contact our office at (609) 850-8284 today. Facing criminal charges without legal representation can be daunting task for most people. Leaving your fate in the hands of the municipal prosecutor and municipal judge without a firm understanding of New Jersey’s legal system has left countless defendants in terrible positions. If you have pending charges for harassment, obstruction of law, terroristic threats, eluding, simple assault, possession of a weapon for an unlawful purpose or disorderly conduct, please contact our Burlington County Criminal Defense law firm. We have represented thousands of individuals charged with criminal offenses throughout our careers. Additionally, firm partner, William C. Fay, IV, is a former New Jerseys Deputy Attorney General who spent part of his career working for the State’s top attorney. For an immediate consultation, please contact our office directly at (609) 850-8284 today. Our offices can be reached 24 hours a day for your convenience.